The quotes that helped shape today's greatest minds! Who do you look up to? Is it Oprah Winfrey? Steve Jobs? Hillary Clinton? Have you ever wondered what inspires them? 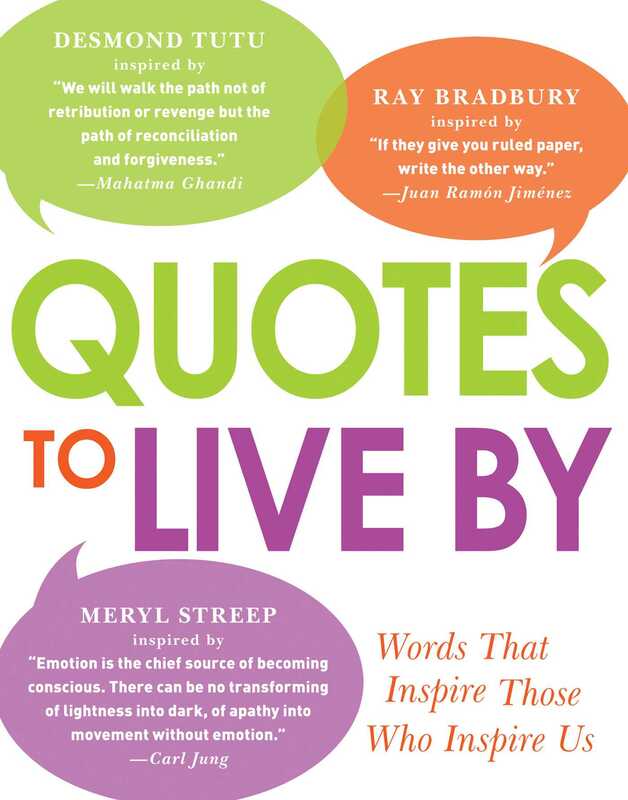 Quotes to Live By reveals the source of the fire that burns bright in icons of politics, philosophy, business, art, and science--and holds the inspiration to light your fire inside. Featuring 125 quotes that have impacted some of the world's most influential individuals, this book is the first step in your journey toward greatness. Just think: Would J. K. Rowling have written seven bestselling novels if she hadn't stumbled upon Pultarch's quote, "What we achieve inwardly will change outer reality"? What adventure might you embark on when you read Nelson Mandela's words: "There is no passion to be found playing small--in settling for a life that's less than the one you're capable of living"? With Quotes to Live By, you'll follow in the footsteps of celebrated trailblazers to discover--and fulfill--your lifelong dreams.